BAE Vapes don’t taste DANK. Nor do they smell like skunk or male cats after they got finished marking their territory. BAE Vapes smell like things that are charming, and sweet, like macaroons and cake batter. They even have a pink punch! Can your vape cartridges say that? I doubt it. Good stuff here. Highly recommended. Forbes: Where are you from? What did you do pre-cannabis? Why Cannabis? Hannah: I’m from a really small town in Missouri – the land of beer. I always knew I wanted to move, explore and find new experiences around the world. Beer took me on that journey. I worked for a number of brands and led a team in Dublin to help them market and sell craft beer. I was looking for a new challenge in my career and consulted on a few cannabis projects for some companies in CA. I got a taste of the industry and knew that was absolutely where I wanted to be. Tasha: I was born and raised in Arlington, Washington. I have been passionate about cannabis since I was 13 to be honest. It wasn’t hard to fall in love with a plant that helped people in so many ways. My entire cannabis career sprouted from volunteering for Seattle Hempfest and Washington’s Cannacon. Emily: I am from LA. I was a chef for eight years and overworked myself to the point of pain. The pills I was prescribed made me even more sick. I turned to cannabis which saved my life. I got a trimming job to help me get some cash flow in while I was figuring out my new purpose in life. This is where my purpose became my reality. Sara: I am originally from South Florida. I worked in the beverage industry in marketing for several years. Both of my grandparents have Alzheimer’s Disease and when I started trying different cannabis products out on them and saw huge positive impacts, my interest turned into true passion. Forbes: Tell me about your products? Who are your target customers? What states are you in? 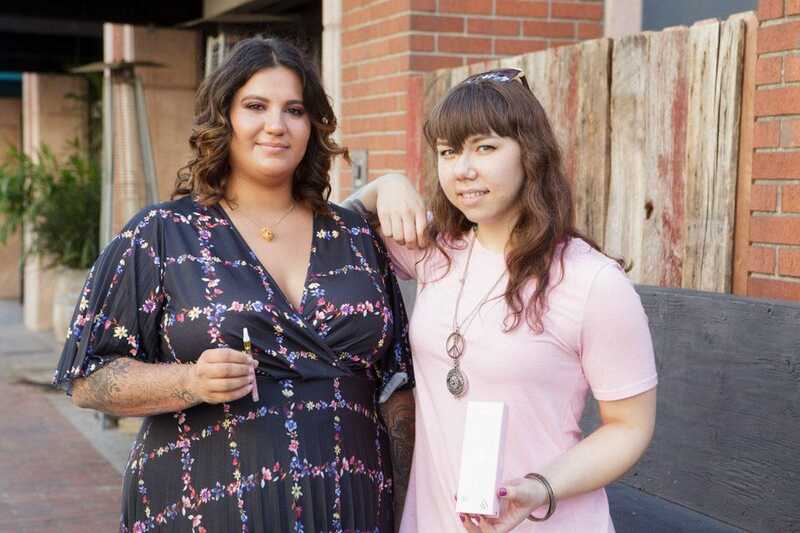 Hannah: Bae is a luxe vape pen created for the new female recreational cannabis consumer. It’s specifically built for her wants and need, for the occasions that she wants to elevate with cannabis. x. It’s strains are tasty flavors without the “dank” smell and taste of many vape pens on the market. These consumers don’t want to smell like “weed”, so the strains are formulated to taste and smell like women’s favorite treats – Pink Punch, Cake Batter, and Macaroon. We have launched the brand in CA, in dispensaries throughout the state. Forbes: Who influenced you most growing up? Hannah: My Grandma Rose influenced me the most while growing up. She was always a career woman, even back in the ‘70s. She still mows her own lawn in her 80s! Tasha: It’s going to sound cheesy, but my mom, Tammy. She was, and still is, the hardest working, kindest, and most driven woman I know. Her ambitions were always to nurture her family and she has been very successful at it despite so many struggles and obstacles beyond her control. Emily: I had a lot of influences growing up, my biggest being my older sister. I grew up in a very religious Russian family that tried their best to keep me sheltered. I was first generation so my parents taught me to work hard. Sara: My family influenced me the most growing up. I’m fortunate to have the most open, non-judgmental, accepting family ever! They are my biggest fans and support system. When did you enjoy cannabis for the first time? Tasha: I first tried cannabis with neighborhood friends, next to a local creek on a beautiful country summer day. I’ll never forget it! Emily: I used cannabis recreationally and socially before I used it medically. My first time was when I was about 15 years old in my rebellion stage. Sara: I was definitely young the first time I used cannabis. When did you realize upon luxury as a prerequisite? Hannah: I helped elevate beer to a luxury experience, like a nice glass of wine or a snifter of high-end whiskey. A lot of women didn’t think beer was for them, but we helped turn so many people on to it by showing them all the different styles out there that fit their tastes and lifestyles. We want women to be able to see how cannabis can fit into their lives by giving them a product that fits their luxury experiences and giving an opportunity to “treat yourself”. Sara: It wasn’t until I started visiting California that I really learned about luxury in cannabis. I researched it on all levels to make sure I was consuming the best. Just like cosmetics, I started to realize that I would pay for the best. Forbes: Do you cook? Who taught you? Mother? Father? TV? Is there anything that you enjoy eating or drinking or even, yes….smoking that brings a tear to your eye and why? Hannah: My mom taught me to cook. She’s Southern, so it was a lot of fried foods like BBQ and baked goods. Specifically, I can remember Christmases together baking cookies and decorating them for days. Our homemade pie crust recipe goes back three generations and I’m still using the same one today. Tasha: Yup, Momma showed me the ropes when it comes to cooking. I’m not certain that skill was necessarily handed down to me, though I do have my moments. The strain Jack’s Girl is very sentimental to me and reminds me of some very important people to me. Then the strain Old Toby always brings tears of frustration to my eyes as it was one of the most difficult strains I’ve grown in the past. Emily: I have been cooking since I was a child. My family played a huge part in my love for cooking. I have a huge sweet tooth and my grandma knew exactly what she was doing! She cooked everything from scratch. She made this apple pie every Thanksgiving that took about 150 apples to make. Sara: Growing up, both of my parents cooked but I really learned how to cook from my Aunt Gessy. Ask any of my friends – I’m a really good cook! Being from the South and having a Caribbean background, I LOVE both foods. Hannah: I love to travel and have been to over 10 different countries on vacation. However, some of my most memorable times include time spent in Germanic countries – Austria, Germany and Netherlands. If I could be anywhere in the world right now, it would probably be on a train traveling through Germany hopping from Christmas market to Christmas market in different cities. Tasha: With my family doing karaoke around a campfire. Growing up in the country, we would throw huge summer parties where friends and family would bring their RVs and pitch tents. Emily: Where I am now – working from Maui. Paradise! Sara: If I could be anywhere in the world, I’d be somewhere on the beach with my favorite people – relaxing, drinking, dancing, having fun and making memories! 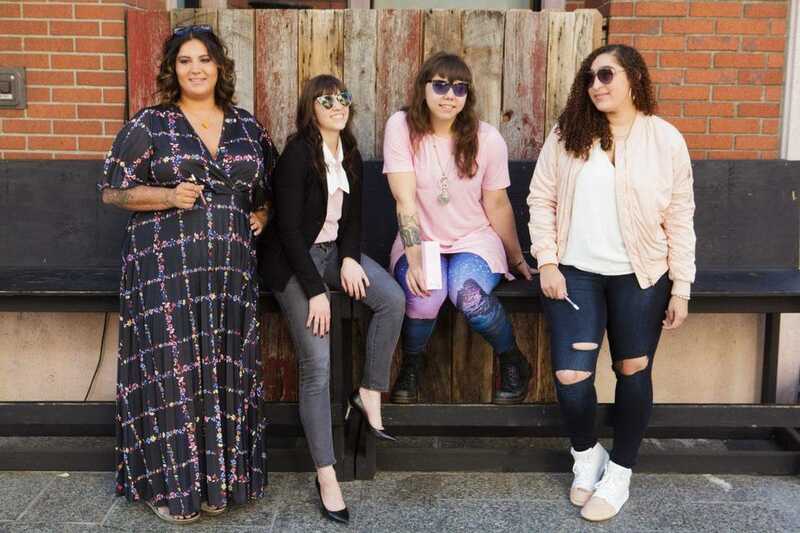 Bios: Tasha Sullivan has been a passionate cannabis advocate for 6 years and a hard working representative of women in the cannabis industry for 5 years. From cannabis cultivation to extraction to blending high quality cannabis concentrates and terpene profiles, she has made it her mission to follow her passion and blaze trails with other strong female leaders of the industry. Honored to be a part of developing a cannabis product based around her identified gender, she focused on her inner feminine fury to bring Bae to life. Wanting to express the sweet, fun and playful nature of the women on her team, the strains Cake Batter, Pink Punch and Macaron were selected to remind us that we are indeed sugar, spice and everything nice. Emily DeLaCruz has been working in the cannabis industry for 8 years. As a Los Angeles native, cannabis has always been a part of her adult life. But, as she became more educated on the plant and various formats, she was looking for ways to make it easier to enjoy cannabis in a clean and convenient way. Her experience as a chef, and her culinary school training, inspired her to think about the taste profiles that she wants to enjoy. When conceptualizing Bae, she wanted it to be easy-to-use, discreet, and tasty. Hannah Davis spent the last 10 years working in the craft beer industry and saw the rise of super-premium craft beers targeted at a variety of people. Her experience with elevating the beer experience through beer dinners, education and experiential events helped bring more women to a generally male-dominated consumption experience. She helped to elevate beer to wine status and moved to LA in early 2018 to do the same for cannabis. Working in the industry, she didn’t feel like there was a vape product made for her. The alternative and masculine brands don’t fit with every consumers’ aesthetic, and she realized there is an opportunity to make it easier and more tasty to consume for females. She worked with the team to produce Bae so she and her friends would have something to enjoy that didn’t leave them smelling like “weed” after a sesh. Sara Laplanche, an LA transplant from Florida, has always been a passionate cannabis advocate. Since moving to California years ago, she has freely and actively been able to be involved in cannabis charity. Sara takes personal experiences of helping both of her grandparents who suffer with Alzheimer’s Disease live a better quality of life by using cannabis. 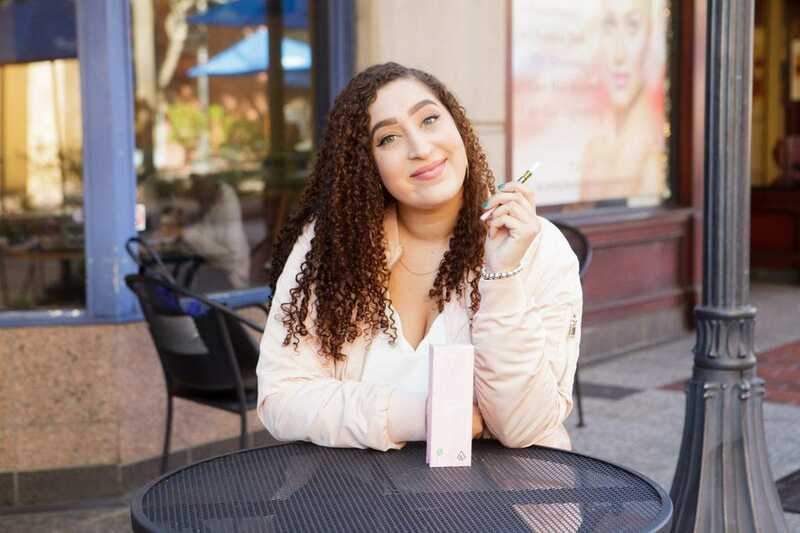 After spending time in stores across the state, she noticed that most cannabis strains and brands were targeted towards a more masculine crowd, and wanted to make a difference. Her love for sweets, make-up, and girl boss mentality, came in handy when creating Bae.